Kendrick Lamar‘s 2015 To Pimp A Butterfly track ‘Alright’ has received an epic, jazzed-up cover from triple j Unearthed‘s newly-crowned Artist Of The Year, Kwame. 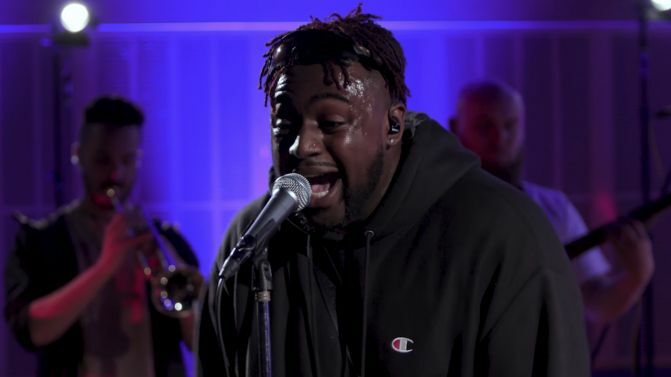 Making his debut on triple j‘s Like A Version covers segment on Friday, Kwame delivered a passionate rendition of the Black Lives Matter anthem, complete with an intricate jazz section to freshen things up. While in the triple j studios, Kwame also performed a jazzed-up take on his recent single ‘WOW’, from his Endless Conversations EP. Watch both performances in full, below. Kwame announced a 2019 national tour behind his new single ‘CLOUDS.’ last month, which will take him to Sydney, Brisbane, Adelaide, Melbourne, Perth and Newcastle between February and March. He is also scheduled to perform at Festival Of The Sun this December.